TORONTO, ON--(Marketwired - February 22, 2017) - The revised Good Clinical Practice (GCP) guideline from the International Conference on Harmonisation (ICH), known as ICH-GCP E6(R2), has now been approved. This first update in two decades is expected to be adopted worldwide by regulatory agencies, including the FDA, EMA and Japanese Health Authority, and so brings major implications for all clinical development stakeholders. ICH-GCP E6(R2) reflects the industry's growing emphasis on risk-based quality management, highlighting the increasing complexity of clinical trials and how the ongoing evolution in technology creates opportunity for greater efficiency in quality management - specifically describing quality management as multi-faceted, with an emphasis on re-imagining protocol design to minimize complexity, unnecessary procedures and related data collection key to better decision making. This one hour webinar follows on from the successful December 2016 session on 'Remote Monitoring and Preparing for ICH-GCP E6(R2) at Investigator Sites' (archive recording available here), which detailed and discussed what was changing from the perspective of an investigator site. Many participants requested an additional session to address further questions they now have as they prepare for future GCP audits and inspections conducted in accordance with these revised guidelines so this webinar will address pre-submitted questions. Intralinks is also thrilled to welcome Gunnar Danielsson and his viewpoint as a retired GCP Inspector. For over a decade, Gunnar conducted countless inspections on behalf of the Swedish Medicines Agency and the European Medicines Agency (EMA). He was an active member of EMA GCP Inspectors Working Group where he had direct involvement in the development of a variety of guidelines and reflection papers. For more information or to register for this free webinar visit: ICH-GCP E6(R2) - Live Q&A with GCP Inspector and Investigator Site Perspectives. 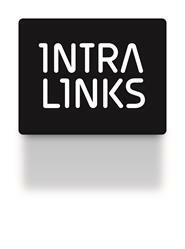 Intralinks has established itself a household name in the life sciences and financial services worlds over its 20-year history with over 4.1 million business users having used its secure, cloud-based platform, and 99% of Fortune 1000 companies among its customers.